Awwwwww North is just so adorable..she was photographed blowing kisses on a family outing with her parents and her large family..
On a Normal day North seemed to never understand why the paparazzi was always trying to get shots of her or why they were always around.. She always seemed so angry! Yikes if only she knew who her mum was! I mean am sure some photogs earn by stalking Kim.. They would just be like Yo! Dailymail I got some more photos of Kim's booty and Dailymail will reply ohhh how much do you want for it? and deals get sealed lol.. 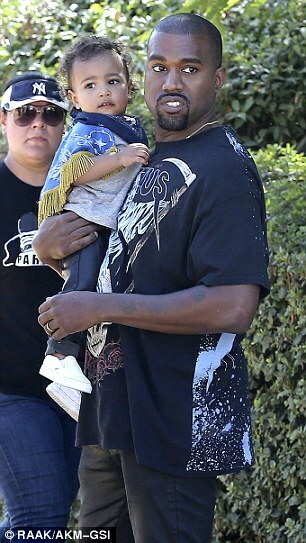 But North seems to be relaxing to all the Paps now even blowing kisses..she sure gets it now! 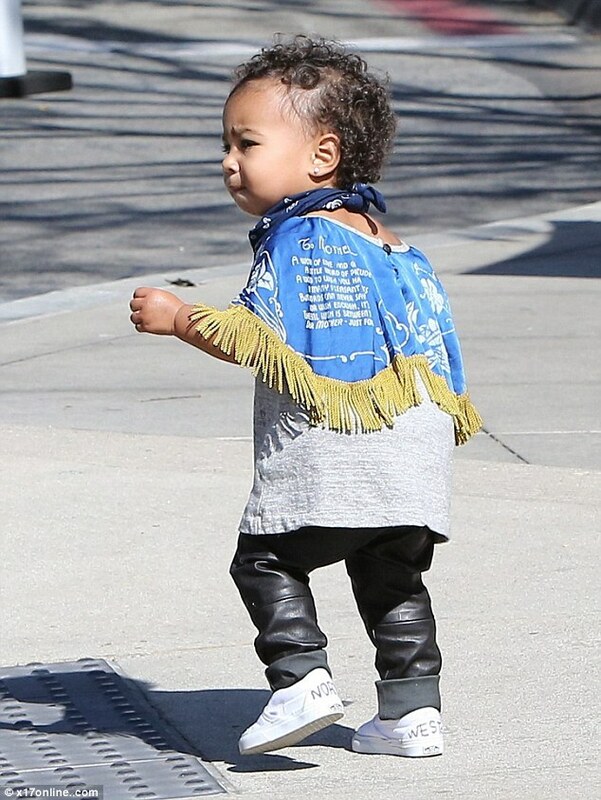 lol..
Apart from rocking sneakers customised with her name she also bonded with cousin Penelope..